"Would that it were so simple." At first glance the new Coen brothers film Hail, Caesar! feels light and breezy, a fun homage to 1950's cinema, but always remember who we are dealing with here. There is a reason so many people (myself included) wait for a revisit or two of their work before declaring their cemented opinions of it. 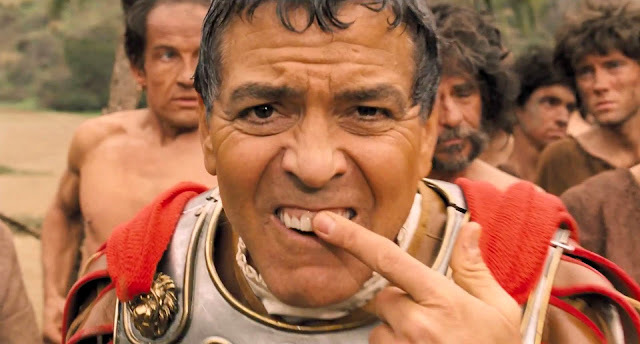 A Coen picture is typically assembled with immaculate precision and a level of intelligence that is often not fully appreciated until years later, and Hail, Caesar! is yet another glorious film that fits right into their wonderful mold. Here we are told the story of Eddie Mannix (Josh Brolin), a man working as a fixer for the Hollywood studio Capitol Pictures, a career riddled with chaos and the somewhat scattershot plotting of Hail, Caesar! embraces the concept that we are following a day in his life. It's unconventional and is certain to turn some viewers off because it feels as if we are fed a lot of information that amounts to very little, but that's exactly the point. It's a perfect symbolic representation of the inner turmoil of Mannix, a day of being pulled in so many different directions and it all amounts to very little, and starting and ending Hail, Caesar! with scenes of him inside a Catholic church confessional serves as the subtle touch that made me love this film so much more upon reflection. 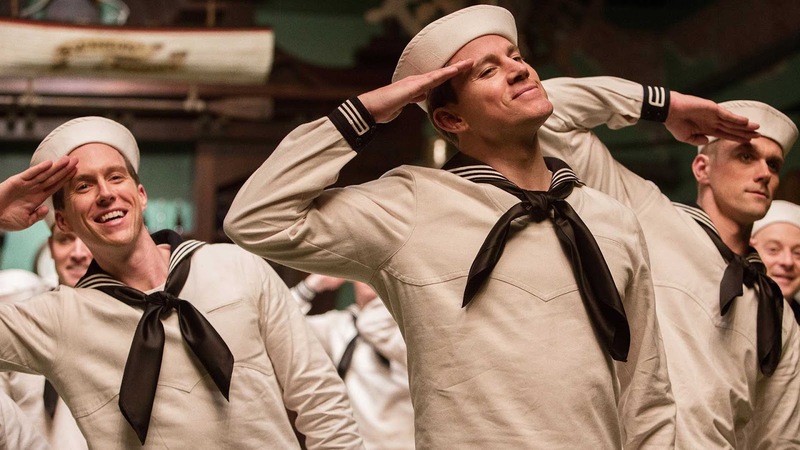 This movie is disguised as being "about" what feels like a major plot point in the storytelling, the kidnapping of their biggest star Baird Whitlock (George Clooney) and the pursuit of bringing him back in time to finish shooting their most important picture, but really Hail, Caesar! is always about Mannix and the irony of his position as a fixer when he is so desperate to fix himself. That isn't to say that Hail, Caesar! isn't also a sublime example of what it feels like on the surface, a fun homage to 1950's cinema. It slathered me in a warmth of nostalgia that I shouldn't even comprehend considering I wasn't born until the mid 80's. The film taps into the era with such honesty and absurdity, a totally welcome and essential balance, and while my experience with that decade comes only through the very medium they are celebrating I felt like I had returned to something special. A perfectly cast Coen film, from the aforementioned Brolin and Clooney to Ralph Fiennes, Alden Ehrenreich, Scarlett Johansson, Tilda Swinton, and many others, including an inspired supporting performance from Channing Tatum (I fall more and more in love with this man every time I see him in something), it's easy to be charmed and find some pleasure in the experience that Hail, Caesar! provides, but it wasn't until I played it back in my mind and then gave it that good ole' second viewing that I discovered what an achievement they have here. Is it peak Coen for me? No, but that shouldn't be regarded as a flaw considering what a tall mountain that is to climb, with my deep love for work like The Big Lebowski, Inside Llewyn Davis, No Country for Old Men and A Serious Man forcing my expectations for their brand of cinema to reach unreasonable heights. If Hail, Caesar! is just a notch below, second tier Coen if you will, that's mighty fine by me. I'm not a big Coen fan, and since people praise them as the film gods I had high expectations going into this. That and the trailer was super funny. I was sad to see that all the comedy was basically in the trailer. The best parts for me were Channing Tatum, and that Western actor trying to actually act in that drama. That had me cracking up so much.